Sometimes design (and designers) are thought of as the people that make stuff look pretty. While aesthetics is a part of design, it’s not its sole function. When aesthetic considerations are placed above the problem or the design goal, user discomfort or dissatisfaction can occur. Look at these images I took at a new local barbeque spot and notice the highlighted adornments. 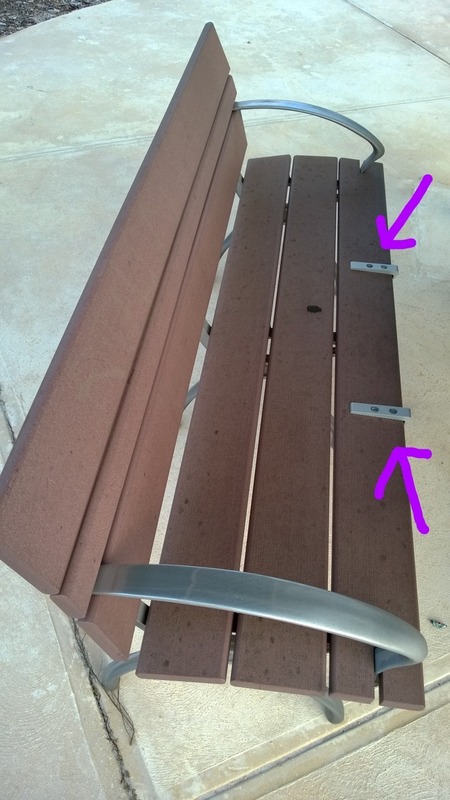 These metal parts on the bench seat don’t perform any structural purpose, they are purely there for aesthetical reasons. The only problem is, when sitting on these benches, these adornments get in the way and are uncomfortable to sit on or near. This is an example of an adornment, purely for some aesthetical reason, that actually harms the useability of the thing, i.e. that a bench is for sitting on and should be comfortable. This all assumes that the design goal wasn’t to deliberately make them uncomfortable so people wouldn’t sit in them for too long. As William Morris put it: “Have nothing in your houses that you do not know to be useful, or believe to be beautiful.” Perhaps the loftiest goal of design, is to make things that are both useful and beautiful. If we assume here that these benches are all designed and constructed the same, regardless of if they’re going to be employed in standalone configuration (which could allow grinding) or as part of a table arrangement (which naturally helps prevent grinding). This demonstrates that where a design could work in one context, it may not work as well (or at all) in another context. If the above assumption of the homogeneous nature of all these benches is true, then it may also point to the cost of “good design” – for example the local council may have had to pay more for ordering different configurations of benches. 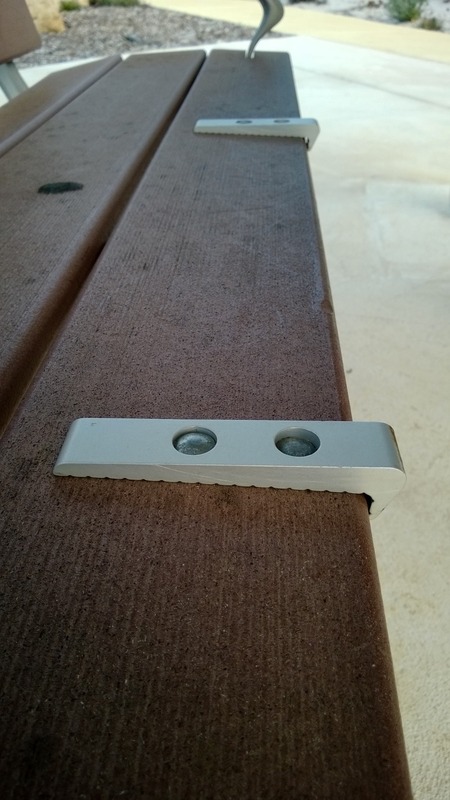 In this case the user (me) had no idea of skateboard grinding being a problem on benches. This led to (albeit mild) annoyance when using the benches as I didn’t understand the potential point of the design. It’s an interesting question as to how to make the point of these anti-grinding devices more obvious. The easiest way would be to etch some for “anti-skateboard” description or diagram.